We are delighted to introduce a new product category to our range here at Flashbay, Gift Sets. Coming in three sizes – small, medium, and large – our Gift Sets feature various combinations of our favourite branded products all in one stylish, logo-customised case. 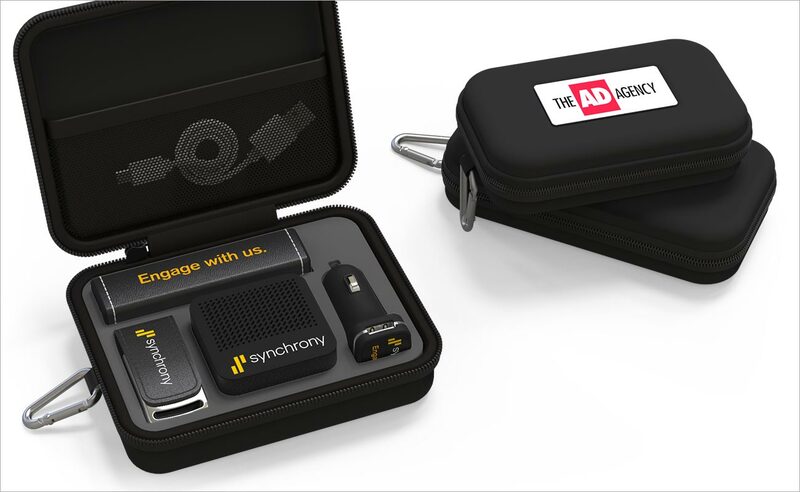 Our smallest case features a Flash Drive and a Power Bank, a USB Car Charger is added to the medium size model, and the large Gift Case features all of the above plus a Bluetooth® Speaker. In total, there are 15 combination options to choose from, so that we can best meet your widest promotional needs. With such variety available presented in a tidy and elegant case, the Gift Sets are the perfect giveaway item for your Customers and Clients ahead of the festive season. If you would like to find out more about our Gift Sets, please fill out our Quick Quote Form and a dedicated Sales Account Manager will be in touch with you shortly.